Our range of products include stainless steel 321 nuts, stainless steel 304 nut, stainless steel 309 s nuts, stainless steel 310 s nuts, stainless steel 310 h nuts and stainless steel 316 nuts. 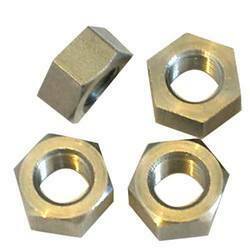 We are engaged in offering wide range of Stainless Steel 321 Nuts that is widely demanded in several industries. These Stainless Steel 321 Nuts are manufactured using high grade of raw material that is sourced from our reliable vendors. These are having excellent corrosion resistance and are easy to operate. These are available in various sizes and dimensions as per the industrial specifications and quality standards. A broad array of Stainless Steel 304 Nut is manufactured by our organization, which can easily be bolted according to the requirements. Fabricated with high graded materials these nuts are corrosive resistant, highly durable and rigid. With a variety of sizes, dimensions these nuts are manufactured by latest cold forging methods. These nuts have perfect combination of head, thread and length. 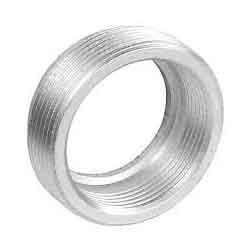 The range of stainless steel nuts which we present is based on the norms of industrial standards. Made as per the clients specifications these nuts are corrosion resistive and offer optimum performance under a moisturized environment. 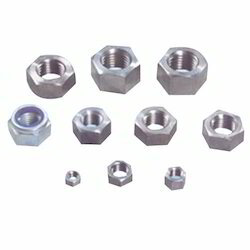 With various sizes, dimensions and ranges these nuts have nuts have perfect combination of head, thread and length. The stainless steel nuts which we offer are manufactured using cold forging methods which strictly restrict them from getting oxidized. 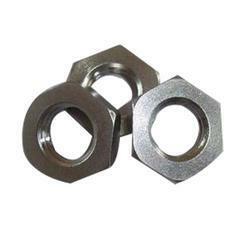 Fabricated with superior quality steel alloys these nuts can easily be bolted according to the desired applications. With various dimensional features and sizes these products are highly anti-corrosive. 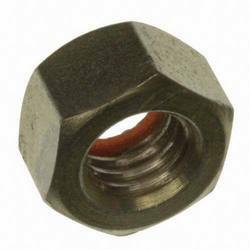 We have expertise in manufacturing a broad array of metal nuts which can easily be bolted according to the clients’ requirements. Made of premium quality stainless steel these nuts never suffer from the problem of corrosion after coming in contact with moisture. Available in various sizes, dimensions and lengths these nuts are made of latest cold forging methods. 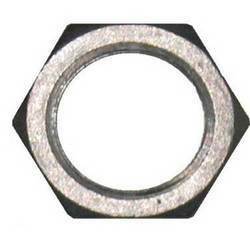 We are expertise in manufacturing and supplying a wide range of Stainless Steel 316 Nuts. They are fabricated from high end technology and could be easily bolted according to the requirements. These nuts are tested on various important quality parameters and are made of corrosion resistive materials so that they are not jammed; when in contact with moisture. These nuts are available in various sizes, shapes, specifications and dimensions to suit clients’ varied needs. They are offered at highly competitive rates and are fabricated with the help of latest cold forging methods. Further, they are known for long lives, maximum performance; and they have the perfect combination of head, thread and length. 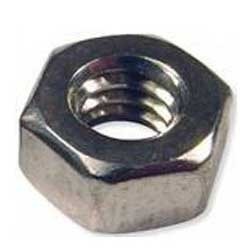 We are offering highly reliable varieties of Stainless Steel 317 Nuts. These are developed from best available technology and could be easily bolted according to the requirements of customers’. 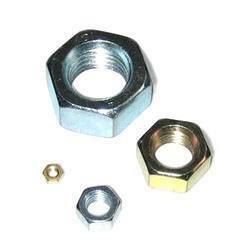 These nuts are made of corrosion resistive materials and supreme market leading procedures. They are developed in a manner so that they do not get jammed after coming in contact with moisture. 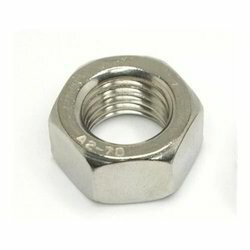 Further, these nuts are available in various sizes and dimensions; and are known for their long lives and high quality. They are manufactured by latest cold forging methods; and are customized and packed to suit clients’ needs. They are offered at reasonable rates and have the perfect combination of head, thread and length. 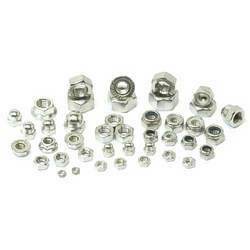 We are leading manufacturers and suppliers of an assortment of Stainless Steel 317L Nuts. They are developed from supreme technology and could be easily bolted as per the requirements. These nuts are made of corrosion resistive materials and are adequately tested on different quality parameters. They are known for long lives and aren’t jammed after coming in contact with moisture. These are offered in different sizes and dimensions. We adhere to international guidelines and manufacture them from advanced cold forging methods. These nuts are offered at highly reasonable rates and are known for perfect combination of head, thread and length. Fabricated with premium quality stainless steel 304 this range of steel nuts is used for high-end industrial applications. With high tensile strength, durability and anti-corrosive properties these nuts are available in various ranges of hexagon head screws and fasteners. Precision matching of these products further ensures close tolerances and excellent finishes. Wide range of Stainless Steel 321H Nuts that we provide to our valuable clients is available in several types. 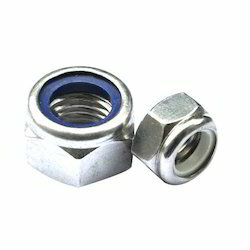 These Stainless Steel 321H Nuts are widely used in various kinds of fittings. These are widely appreciated for several features such as, SS grade of raw material, corrosion resistance and excellent mechanical properties. Wide range of Stainless Steel 347 Nuts that we provide to our valuable clients is available in several types. 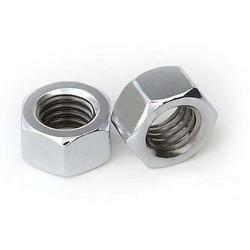 These Stainless Steel 347 Nuts are widely used in various kinds of fittings. These Stainless Steel 347 Nuts are widely appreciated for several features such as, SS grade of raw material, corrosion resistance and excellent mechanical properties. We manufacture, supply and export high grade of Stainless Steel 347H Nuts that are having various industrial applications. We offer these Stainless Steel 347H Nuts in wide range as per the dimensions, sizes & costs. These are having extreme tensile strength, durability, corrosion abrasion and are widely demanded in various parts of the world. 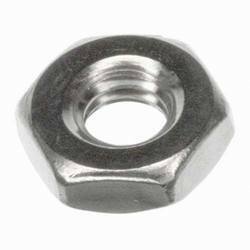 We are engaged in manufacturing and supplying a comprehensive range of Stainless Steel 904 L Nuts which are manufactured using high quality of raw material that is sourced from our trusted vendors. We Supply these Stainless Steel 904 L Nuts in various parts of the world. These Stainless Steel 904 L Nuts are renowned for excellent quality, dimensional accuracy, high durability, excellent finish, high tensile strength and reliability. 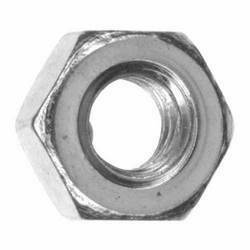 We manufacture a broad range of steel nuts which is made as per the defined industrial standards. With various dimensional features, lengths & sizes these nuts never suffer from the problem of oxidization while coming in contact with moisture. 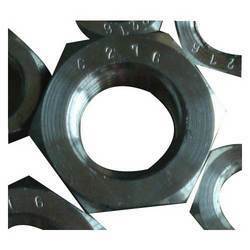 Manufactured by latest cold forging methods, these nuts have perfect combination of head, thread and length. We have gained enough credibility in the market and are engaged in manufacturing and supplying a wide range of Stainless Steel 316TI Nuts. These are developed with the help of the best available technology and could easily be bolted according to clients’ requirements. These nuts are known for long lives, optimum performance and are made from corrosion resistive materials so that they do not get jammed after coming in contact with moisture. 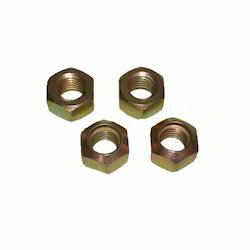 These nuts are available in various sizes and dimensions as desired by our customers’. They are tested on various quality parameters and are manufactured from the latest cold forging methods. These nuts are offered at economical rates and have perfect combination of head, thread and length. Backed by the team of engineers we produce a comprehensive range of steel nuts which can be bolted according to the requirements of the clients. Made of optimum quality stainless steel alloys these nuts are anti-corrosive which never oxidizes in contact with moisturizing environment. Manufactured by latest cold forging methods, these nuts have perfect combination of head, thread and length.